Caribbean weather can be sizzling! So while you’re in Punta Cana, cool off with one of our water tours! Various options include anything from clear water lagoons and surfing, to a relaxing day of fishing. Enjoy the heat and feel refreshed with a quick dip while on one of our beautiful catamarans stocked with snacks and local Dominican rum! Enjoy a fun excursion in a modern and elegant catamaran that will tour the beautiful Bavaro coast and where you can snorkel, enjoy a natural pool and entertainment throughout the journey with the best music. The tour includes open bar, snacks and masks for snorkeling. 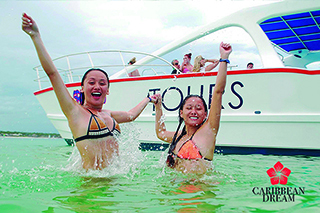 Live the experience of a fun excursion in a modern and elegant catamaran that will cross the beautiful Bavaro coast, and where you can snorkel, enjoy a natural pool and entertainment throughout the journey with the best music. 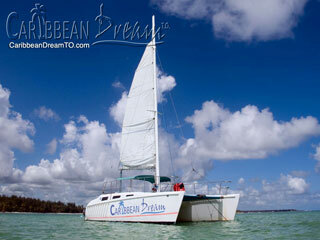 The Caribbean Sea, waist-deep sandbar, savory buffet, catamaran, speed boat, Latin music, Sun, Sand and Palm Trees. Sound interesting? Come with us to Saona Island to live the unforgettable experience. Last call at the Tiki Bar! You coming? Ready for a day full of new experiences and excitement?! 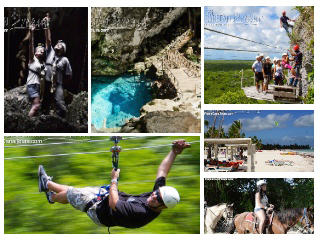 This rousing excursion gives you the best of all worlds; choose whatever activities your heart desires from a list of incredible options at the infamous Scape Park in Cap Cana. Whatever you choose, we guarantee an unforgettable experience! It's time to get on a catamaran! What else would you do in the Caribbean? Whether you're looking for something the whole family can enjoy or just a fun time for the two of you, come cruise Punta Cana's enviable waters with us. 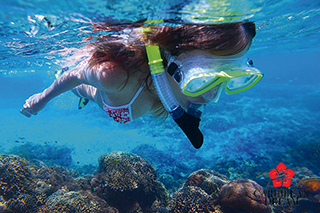 Snorkel, drink and live the tropical dream for a day. Combine a buggie excursion with a catamaran outing and throw in a clear water lagoon and an incredible lunch on the shores of one of the Dominican Republic's most renowned beaches. Explore the backroads of the Punta Cana Ecological Reserve and board our spacious catamaran amidst a jaw-dropping Caribbean setting. 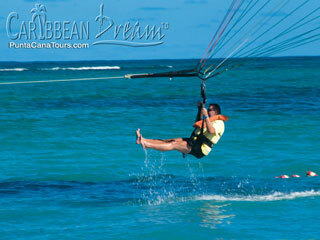 Take an unforgettable flight high above the beautiful beaches of Punta Cana! Parasailing is a safe and fun activity for just about everyone in the family to enjoy; no experience is necessary and the Best View in Punta Cana is just a click away. Looking to relax and unwind in Punta Cana? There's many Day Spas but only One Floating Day Spa! You'll be pampered with relaxing massages, foot exfoliation by tiny fish and gentle Pilates - all while cruising Punta Cana's turquoise waters. Reserve your spot today and enjoy this memorable, stress-free experience. Our destination is the private grounds of the Punta Cana Club & Resort. Here, among palm trees, shallow, transparent waters, mangrove forests and lagoons, we offer a VIP catamaran outing on the shores of one of the Dominican Republic's most renowned beaches. 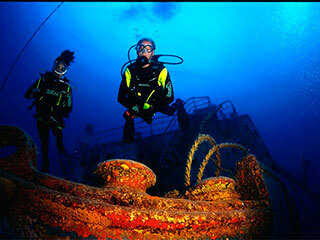 Come with us to explore the depths of the Dominican Republic's Caribbean Sea! 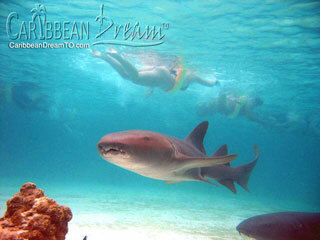 Jump in and prepare yourself for an amazing experience for divers and snorkelers alike. Both aficionados will share our catamaran to discover Bayahibe's underwater world before enjoying a typical Dominican lunch on the quintessential Caribbean beach. Punta Cana is a great place to discover Deep Sea Fishing! Here you'll have the opportunity for great catches like Wahoo, Sailfish, Mahi Mahi and Tuna. 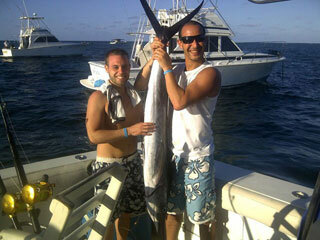 As well as the big catches such as Blue and White Marlin. Come enjoy one of life's greatest pleasures on Punta Cana's unforgettable deep blue ocean. 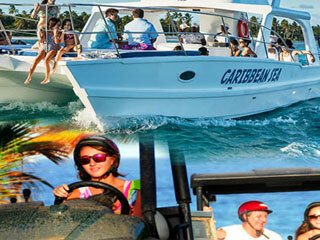 Join us for a unique Party Boat experience along the Punta Cana coastline. Snorkel with Stingrays and Nurse in the middle of the ocean! Enjoy open bar and snacks as you cruise the coast and relax in waist deep waters in Punta Cana's only natural pool. Truly a Caribbean Dream come true! 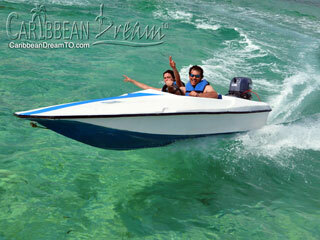 Here's a unique opportunity to drive your own speed boat in the waters surrounding Punta Cana. You'll see beautiful virgin beaches and experience SNUBA in the clear waters of the Caribbean. Fly across the waves and enjoy this thrilling ride. You deserve it! 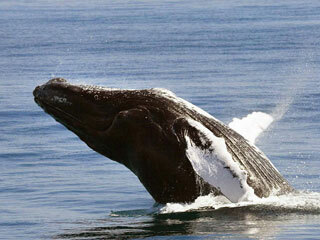 Is the Dominican Republic the best place to Whale Watch in the world? It is! And we're going to show you why. Whale Watching by Bus from Punta Cana to Samana is several excursions rolled into one: Bus ride, Boat Ride, visit to an offshore key and, of course, Whale Watching. Only have time for ONE tour? Then this is it. 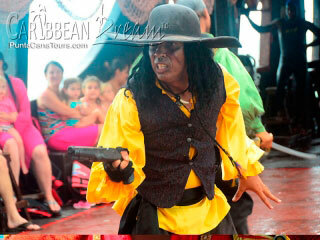 Come one, come all to the Caribbean Pirate Show! Start your excursion on the beach before you board the Hispañola pirate ship! Enjoy a day of pirate entertainment while also taking time to snorkel, and swim with sharks and stingrays. Great fun for the whole family! 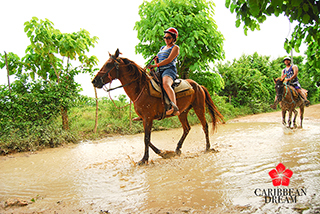 I will definitely recommend this tour to my friends if they visit Punta Cana!